This show just never seems to disappoint. Another episode that could arguably be the best episode in the show. Just when you think Re:Zero can’t raise its game any further, it still finds a way. I’m not sure if I love or hate this episode. It was both spectacular and at the same time agonizing. A kind of high point, but also one that isn’t very enjoyable. Subaru starts fresh, but it comes at the cost of basically smashing Rem’s heart into pieces. To the degree that I’d almost say the time she died, Rem actually got off easier than this. This was just both an amazing episode and one that is utterly difficult to talk about. The show basically made Rem one of the best characters in the whole thing and then bluntly stated that this wouldn’t change anything. It is Emilia or bust, and that’s just how it goes. In a lot of ways this was a fairly difficult episode to talk about. Lot of good things in there, but in some ways incredibly uncomfortable and unpleasant to go into details about. But, that’s how it goes sometimes so…..let’s get into it. I mean damn show….this writer is one utterly cruel human being. 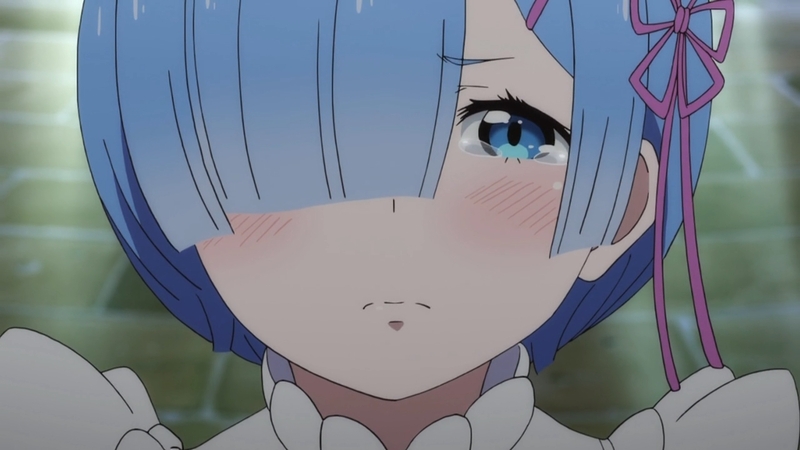 I mean just plain lay out Rem’s entire vision of what could have been and then make utterly sure to state that this will just never happen for her. 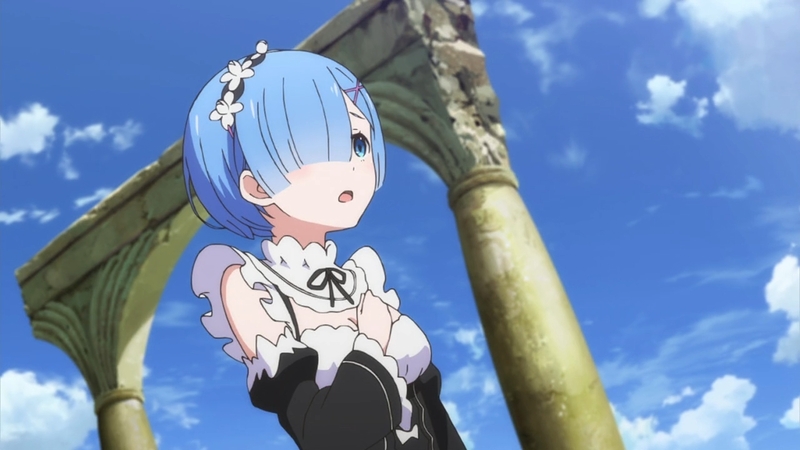 Is Rem luckier to have gotten her time moving now? I guess so, but you have to wonder. Just can’t say I walk away from this episode happy with it. It was a spectacular chapter and definitely served as the turning point for this arc. But….I just don’t care about that. 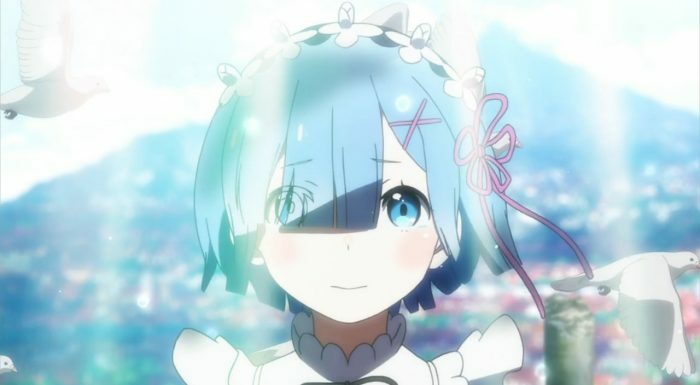 We know where the end game is and Rem is going to be dragged along towards the bitter end of it. I have no doubt this won’t get in the way of her being willing to sacrifice herself for Subaru. Maybe all the more willing to do it since she knows he’ll keep the focus on Emilia even if she does die. Great job. In all honesty credit to the author. 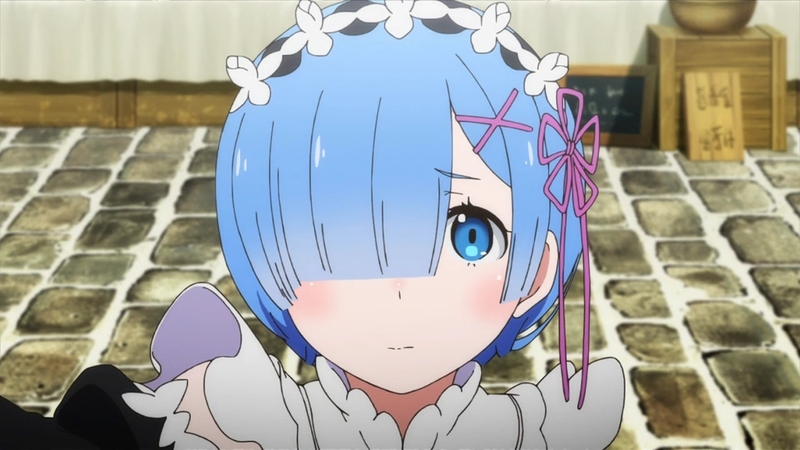 From a pretty low point with Rem killing Subaru in the second arc to here, Rem has risen up as outright the best character in the show. And despite being the top character in this whole thing, it’s just confirmed that things won’t end well for her. They can get through all these ordeals and reach whatever positive ending awaits at the end of the story in its entirety. But in the end….it’s not going to end well for Rem. 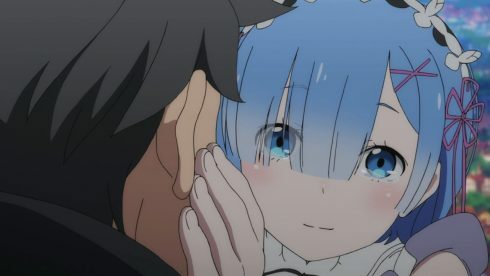 Subaru could become a top tier hero and accomplish everything, but….that’s not going to change the narrative for Rem’s personal story. She’ll hang in there helping him get through all this and end up…where? Staying as a maid looking over the happy couple of Subaru and Emilia? That’s just horrible. Either that or she’ll end up sacrificing herself down the road for someone who just doesn’t feel the same way about her. Nice I suppose that Rem wasn’t wiped from existence. Good to know the whale (or Gluttony as Puck put it) can’t overcome the power of Subaru’s reset. So she’s alive…which is good. I’m pretty sure that’s supposed to be good though after this episode I’m again not all that sure. So at least the people annihilated last week will all be back and ok. Doesn’t erase the big threat, but does make the creature at least not all powerful. Of course that only comes into play if that freaking whale doesn’t eat people during the clearing route. So they still have to watch out for it. Just means this thing is on the same level of threat as anything else out there. 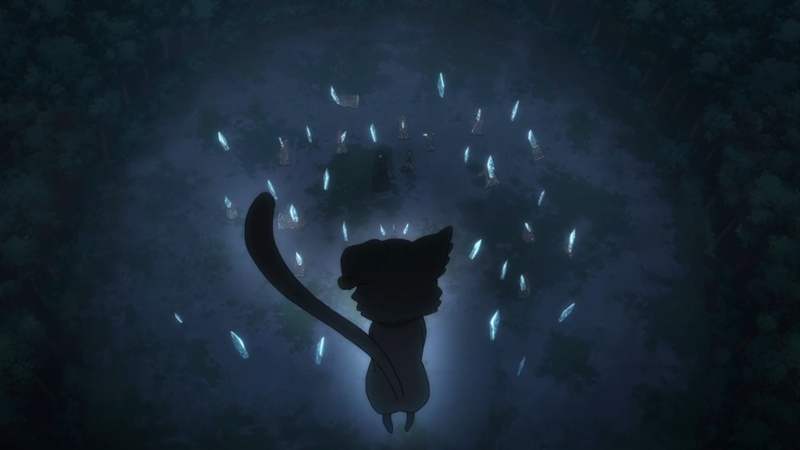 If someone dies and they clear the arc…well they aren’t coming back. Suppose I should put some mention into Subaru’s part in this episode. He is technically the main character after all. This was a great episode for him. Getting a chance to just fully go through the person he was, his flaws, weaknesses, and starting fresh. Just beyond blessed to have Rem there to get him on the right path again. Able to look at this situation and chance as an opportunity to start over. If he can’t stand the person he was and his past then just wipe it out and make this your starting point. 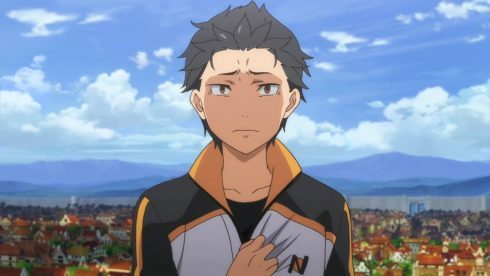 If Subaru doesn’t want to be that person anymore, then change and be someone better. He can use this situation as that chance to become a better person. He doesn’t have to be the guy who didn’t do anything any longer. Subaru went through the whole gambit in this episode. From just feeling like the only choice left was to just run away with the one person he believed was willing to do that with him and getting to the point where he wants to rebuild himself into something better. I can’t really blame him for feeling like running away was the right choice. I mean…it felt like a hopeless mess. He couldn’t figure out a way to get help and his choices just seemed to lead to even more death. He didn’t want to cause the deaths of those around him any longer. That is agonizing to deal with. At some point he just looks at all the roads and they all lead to death, except giving up. If they rush through the quick route (people die), if they take the long route (people die), if they just stay there (people still die!). Of course we can rationalize that there must be a way to get the help they need so they can take the shorter route and save the day. But it’s harder when in that situation to see how that’s possible. 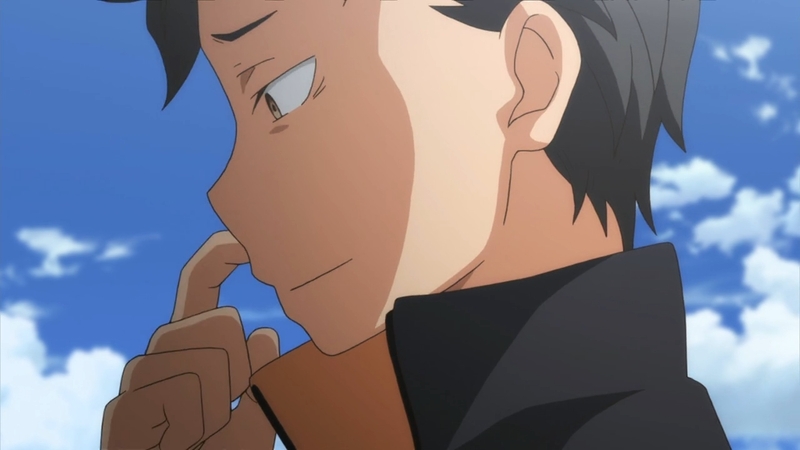 Really it was a great moment with getting Subaru to just look at things from a fresh perspective. The amount of determination, strength of will and focus of Rem to make that happen was amazing. She really had to push and deal with a lot of outbursts and backlash before she could convince Subaru. He had reached a point where he just hated himself with a passion and needed someone to just continue hammering away at the good things. In a sense go a bit outside the box. People know themselves, but they don’t necessarily know the person everyone else sees. 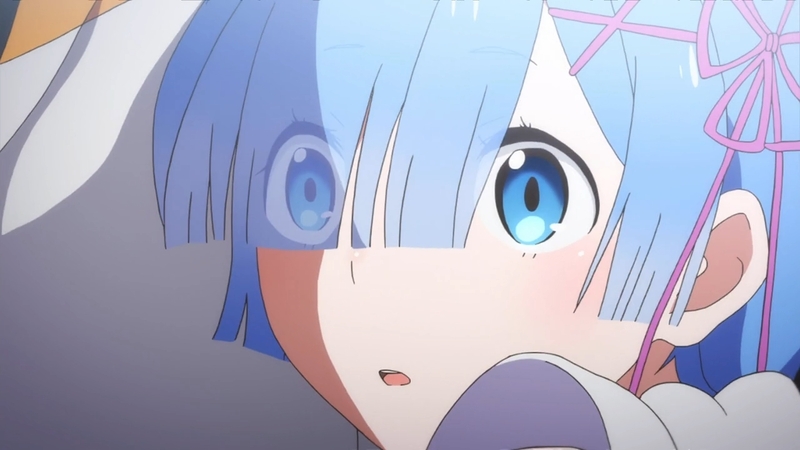 It comes back to the blowup with Emilia and Subaru. The Emilia he sees and the Emilia that she herself knows aren’t the same. 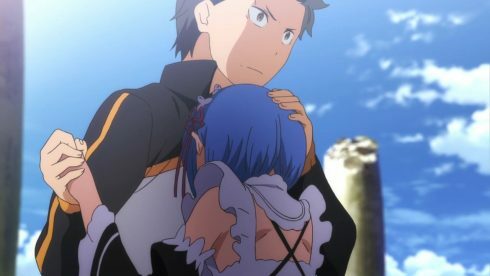 Just that in this case making the point of the great person that Rem fell in love with actually helped. And I will just say that was one of the best confessions I’ve seen in a while. In a sense it was a full episode just about Rem confessing her feelings although we’ve gotten that across well enough by this point. Makes it all the more horrible that she is rejected and has to keep moving forward despite knowing that. In some ways you have to give credit to how straight forward it all was. Everything, and I mean everything thrown out there by Rem. No questions, no doubts, no mystery. And in the same way she was shot down in a very straight forward fashion. No hesitation, mystery or anything. 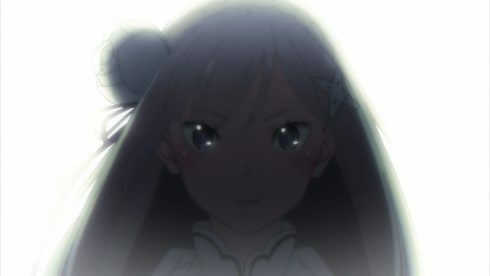 It is Emilia or bust for Subaru. No matter what he wants to stand by her. I suppose it would be ironic if no one ended up happy. 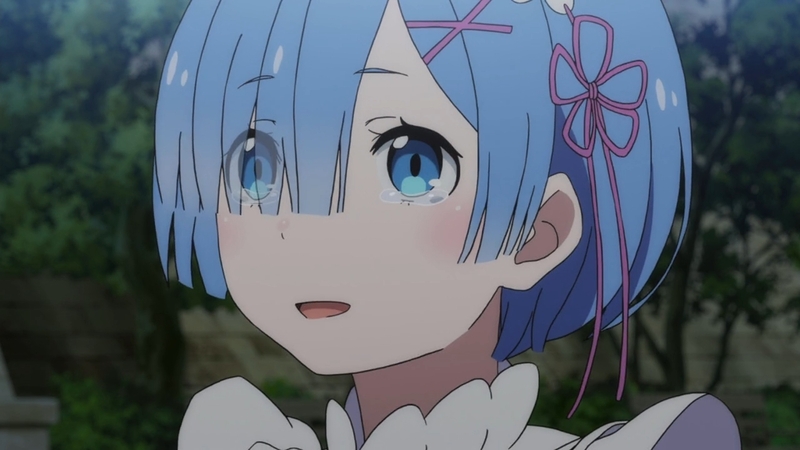 Emilia just wanting Subaru to be her friend, Subaru pining after Emilia, and Rem pining after Subaru. A triangle where really….only Emilia would end up mostly satisfied by the status quo. So yeah, that’s how the episode turned out. In any objective sense it is a fantastic episode. Not a lot transpired in terms of time, but a lot happened in terms of character development. 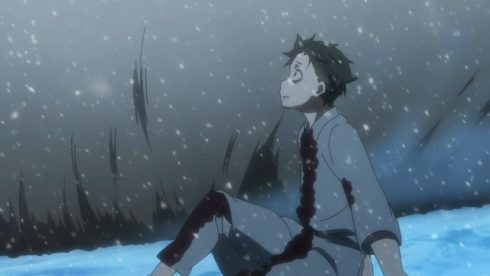 Subaru getting another unfortunate death, but coming out of this in the best state he’s been in at any point in the show. 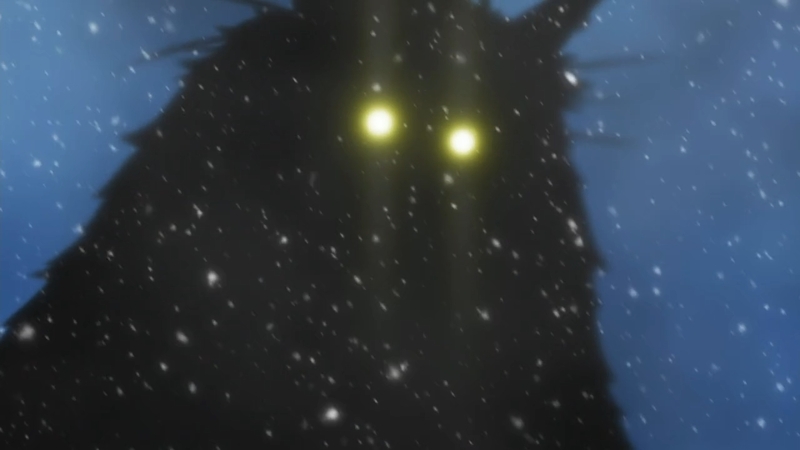 The voice work was amazing, the emotions were there the whole way and it was just a great episode. A lot of interesting intel like Puck actually prepared to destroy the world when Emilia dies. That Puck seemingly has a connection to Satella which just adds to the speculation about her. Almost that their pact is more a threat for Emilia not to allow herself to die or else horrible things will happen. At the same time….I may never want to watch it again. This could be one of the few anime of the year that I never want to go back to. 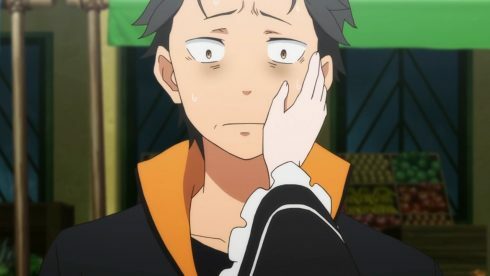 I leave this episode feeling that it was great and I’m glad Subaru is moving ahead. But I still feel like garbage after the end of it. Testament to good writing. 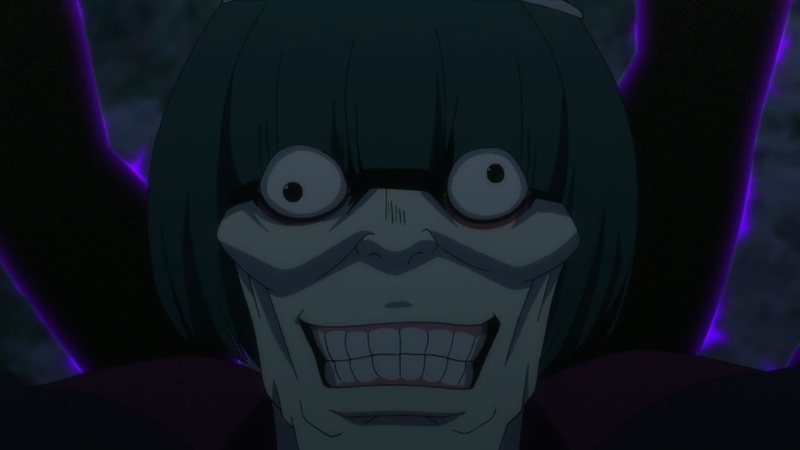 Though I leave this episode thinking the source material author is a horrible person. Even the turning point doesn’t make me feel good! Oh well, let’s board the roller coaster for the last 7 episodes. See how Subaru manages to get through this thing and the costs that come along the way.